Movement for Multiparty Democracy (MMD) Trustee and National Executive Committee (NEC) member Dr. Peter Machungwa has dismissed remarks concerning the MMD by Lusaka lawyer Bradford Machila saying he has no moral right whatsoever to comment on any MMD affairs because his name only appears on party documents as a party member but in essence has moved to United Party for National Development (UPND) who he campaigned for in the January 2015 Presidential by-election. 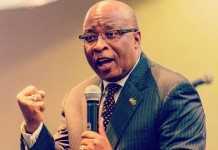 Dr Machungwa says that Mr Machila has been completely inactive in the MMD National Executive Committee (NEC) along with several others who were caught on the wrong foot during the last election and abandoned MMD and campaigned for the UPND and the Patriotic front (PF). Mr. Machila has been quoted in the Post of 28th January, 2015 as saying MMD MPs are not loyal to party president Dr. Nevers Sekwila Mumba and are not interested in re-contesting their seats on the party ticket and insist that there must be a convention before any negotiations of a possible alliance with the PF can take place. “Mr. Machila is contradicting himself in his comments. The party is aware that a lot of our MPs have found themselves in an extremely awkward and confusing position as they had never been in opposition and panicked when they saw the huge crowds of opposition party rallies. They rushed to align themselves to these parties and saw no hope in MMD which they had left for dead. 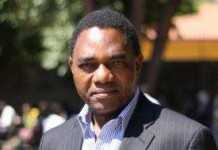 To their utter shock, their preferred party lost the election and these people have now found themselves in the political wilderness with no relevance to any party hence the immoral demands they are making for an MMD convention,” said Dr. Machungwa. Dr. Machungwa further explained that in spite of all this, the party still extended an olive branch for reconciliation through the Truth and Reconciliation Committee which he chaired and several MPs submitted themselves to this committee and were forgiven and brought back to the fold. Mr. Machila however never attended this committee’s sessions and has further absconded himself from party meetings since then. 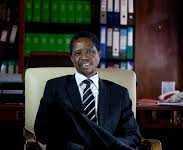 He has advised Mr. Machila to refrain from commenting on the MMD Convention and instead focus on championing for the holding of a convention for the party where he has moved to. He reiterated that the MMD will not allow itself to be distracted from the ongoing party mobilization and repositioning efforts in preparation for the August election. Dr. Machungwa went on to say that Mr. Machila is right to say that some MPs may have never been loyal to Dr. Nevers Mumba. This is normal and expected in politics as they may have regarded him as an outsider and owed him nothing since he was not the one who had given them the ministerial positions they had enjoyed in the past. That is why the party hopes that with the dissolution of Parliament this May, such MPs will seize the opportunity to leave the MMD and migrate to stand on the party tickets of their choice. 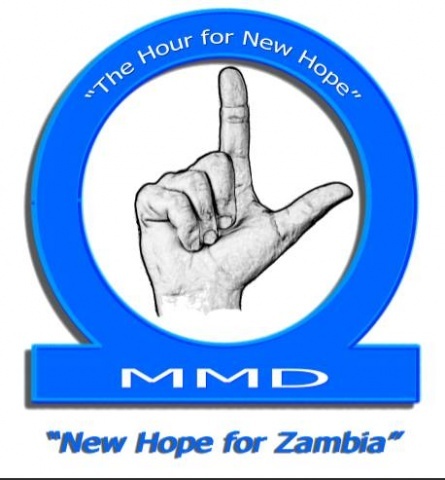 This will hopefully create space for the MMD leadership to concentrate on the ongoing identification of a completely new crop of aspiring candidates for the Parliamentary and Local Government seats for the forthcoming elections.